We didn’t start the fire, it was always burning! In India retailing of jewellery is undertaken in various small and large jewellery shops. Whether the retailer is a large shop in metropolitan areas or a smaller rural shop, the adoption of Software and IT both for back office operations or for business growth, is almost negligible. Why has the change not occurred? 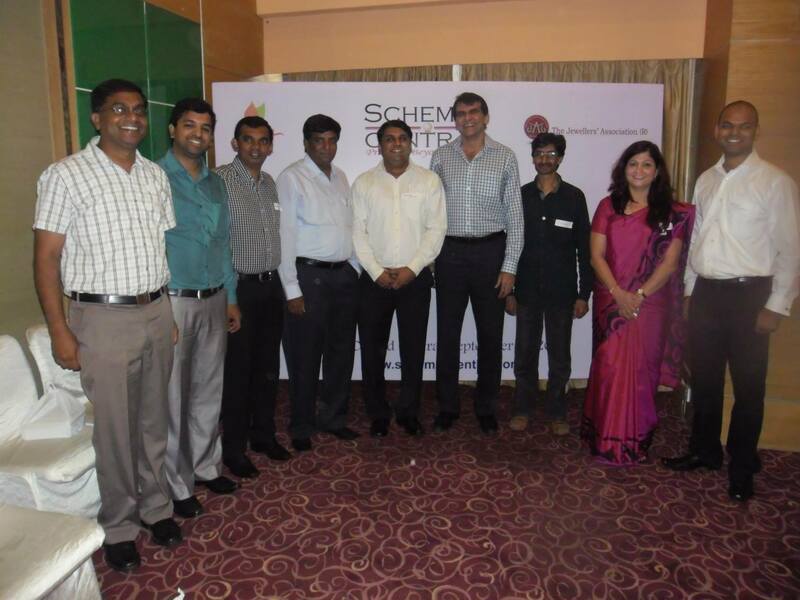 On September 22nd 2013 at Royal Orchid Central, Bangalore, some of the most inspired minds from the Jewellery Industry and the Software and Technology industry had the opportunity to go on a journey of inquest. Are there gaps in the Jeweller’s perceptions about the benefit of Software and Technology? Do Jewellers have the right external eco-system to enable them to overcome the barriers to adoption? Are Jewellers happy with whatever Software and Technology they have used and adopted so far? Is there fire in the belly of every jewellery business owner, to objectively seek answers to these questions, or do we have to ignite a new spark? More than three hours of engaging, entertaining and educational experience. A 100+ jewellery retail business owners got the opportunity to interact and seek answers to many of the questions from industry leaders Shoaib Ahmed, President of Tally Solutions and full-time fellow of iSPIRT (Indian Software Product Industry Round Table) and Mr. Ramesh Davanam, Secretary, Jewellers’ Association of Bangalore. Not all elements of the seminar can be reproduced here, but below are some of the key highlights and learnings. We at SchemesCentral set out to answer many of the adoption related questions about 10 months ago, so that as providers of Software Platforms and Information Systems to the Jewellery community, we empathize with the jewellery retailers, understand their real pains and provide solutions that best address them. What is required for the transformation of the Retail Jewellery Industry? As owners of family businesses, do retail jewellers realize that change is inevitable? If yes, then what are the real barriers to adoption? What can catalyze the endogenous change within business owners as individuals? These were some of our fundamental questions. Almost in parallel, nearly around the same time last year, iSPIRT, through its SAI (Software Adoption Initiative) has gone through a similar journey and had put in place a transformative guide that enables all jewellers (whether retail, wholesale or refiners) to become informed buyers of Software and Technology. Sometimes, an entire industry, as a complex collective, can get into a state of equilibrium/inertia, and will need an external shock, to enable radical transformation. Such an external shock is enabled by new policies, new structures and new leaders. In our casual conversation with Mr. Shoaib Ahmed, what occurred to SchemesCentral was that, iSpirt was clearly addressing the exogenous change. What are the factors that can enable the exogenous change in the entire ecosystem, as a collective? Broad Solutions for negotiating the external factors that influence the whole ecosystem. It was this dichotamous synergy that gave SchemesCentral the confidence to organize the first seminar in close collaboration with 2 industry associations. The Jewellers Association of Bangalore (JAB) and Indian Software Product Industry Roundtable (iSPIRT). The idea for the Seminar was concieved less than 3 weeks ago and Mr. Ramesh Davanam, Secretary of JAB, was the first one to give his complete vote of confidence. It was whole-heartedly seconded by the President of JAB, Mr. G.V. Sreedhar, and very ably supported by the members of the association. Within the next week, we had the theme for the Seminar in place, “Enabling Retail Jewellery Businesses to grow exponentially”. After having invited more than a 100 jewellers, reserving the venue, and working through more than 3 hours of engaging content for the session, we were anxiously hoping that we hit the right chords. Then another magic happened, Mr. Shoaib Ahmed volunteered and gracefully accepted to be part of the Seminar too. And with his natural charm and flair he was also clearly the man-of-the-match on the Seminar day. The implications of being in an Ecosystem of Technology partners. By the start of the 2nd session, most retail jewellers started to open-up and wanted very specific focused answers to all their software and technology challenges, trust being the most important of them all. It was at this moment, a couple of testimonials from iSpirt and an inspired talk by Mr. Shoaib Ahmed, encouraged them to further explore answers to most of their problems. In the final session the SchemesCentral.com platform as an idea in-itself, gave the delegates very specific focused answers on their challenges for maintaining and tracking payments for Jewellery Savings Schemes, it was only but natural for them to understand that there is now a community of software developers and partners, just within their reach, in their own neighbourhood, who are willing to help them in their quest for business growth. If you have a revolutionary software product or platform, seek avenues and opportunities and reach out to established institutions to collaborate and grow. There is fire in the belly of every business owner to grow his business and break new boundaries, jewellery retailers are no exception. We in the software community have to find both endogenous and exogenous ways to nudge them and motivate them, so that we can catalyze the spark within them to become a wild-fire for software and technology adoption. Previous PostPrevious Keeping Data Theft Prevention Simple & Green!